The Karnataka High Court's acquittal of J Jayalalithaa, former and future Chief Minister of Tamil Nadu, of all charges of corruption today (11 May) is actually an indictment of our higher and lower judiciary. That a case which painstakingly wound its way through the courts for 18 long years can be junked by a high court less than eight months after a conviction tells us how badly our lower and superior courts may be working. The delivery of justice is patchy, and big-ticket corruption involving the high and mighty is being treated with kid gloves. Jayalalithaa was convicted and sentenced to a four-year jail term by special judge John Michael D'Cunha on 27 September last year. She spent a few days in jail after her conviction for crimes for which Judge D'Cunha had fined her a massive Rs 100 crore and barred her from holding elective office for 10 years. The Karnataka High Court declined to set aside her conviction or give her bail 10 days later, saying corruption amounted to a “violation of human rights" and should be treated seriously. However, the Supreme Court held that she could be given bail - and she was out 21 days after her conviction. The Supreme Court also imposed conditions for her release. Among them: her lawyers would not adopt delaying tactics, and her appeal should be filed within two months. High profile lawyers can clearly make a difference. Jaya had Fali Nariman arguing her case. Last week, Salman Khan got his bail practically without going to jail even after he was convicted for running over some payment dwellers in a drunken state 13 years ago. His lawyer was ready with his appeal even before the judgment was out. On the other hand, Lalu Prasad got bail nearly two-and-a-half months after his conviction in September 2013 along with 44 others in the fodder scam - roughly a year before Jayalalithaa was convicted in the disproportionate assets case. Given this background, it appears as if the higher courts do not have any kind of standard policy on how to deal with bail when someone is under trial, or when they get convicted in the lower courts. What this implies is that the courts are substantially influenced by both the power quotient of the convict or undertrial and the kind of legal representation he or she manages to put up. This is hardly a good advertisement for the independence of the higher courts, including the Supreme Court, which is now hearing an appeal against the National Judicial Appointments Commission (NJAC) - a constitutional amendment passed by parliament with an overwhelming majority and 20 state legislatures. The argument that the NJAC will impact judicial independence loses potency when the higher courts can behave so arbitrarily when dealing with the cases of powerful people or politicians. Independence surely is not just about how judges are selected. Nothing illustrates this point more than the kind of gratuitous comments made by the Supreme Court in the matter of Manmohan Singh's role in delaying A Raja's prosecution in the 2G scam. A petitioner had sought the PM's permission to prosecute Raja, but Manmohan Singh simply sat on his request. But when the Supreme Court decided that waiting for more than a year was unfair to the petitioner, it criticised not Manmohan Singh but his officials. One has to read the Karnataka High Court's full order in the Jayalalithaa appeal to figure out why it acquitted her when the special judge was so convinced about her guilt as to order strong punishment. Whatever the merits of Jayalalithaa's appeal, her acquittal of all charges will demoralise the lower judiciary like nothing else. In future, few judges will bother to try hard to convict the powerful if this is what their efforts will result in. Secondly, the speed of her acquittal stands in sharp contrast to the dilatory tactics adopted during the process of trial. This is a serious indictment of our justice system. 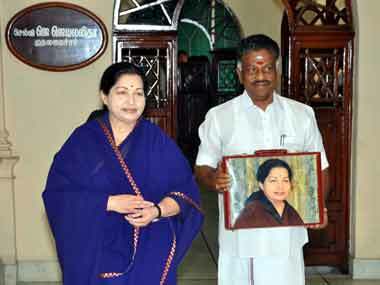 It is not about Jayalalithaa anymore. But we certainly have to hold the justice system guilty.